So the last update we gave you about our fulltime rv living journey was about how we had some setbacks in our new place and started looking in alternative energy for the rv. So for now we have the rv parked at my parents land and are helping them out for the next few months until the next step of our journey. Yes, we’ve finally made a decision and I’m guessing you didn’t see this one coming…. At the end of October we will be launching into a new adventure…travelling fulltime in our RV. Now before you ask me if we’ve lost our minds, let me answer a few of those questions you have. We’ve had a rough last couple of years. If you read our adoption story you may have an understanding of how stressed out we were last year. Actually stress isn’t the right word, what’s the word for…”In so much distress we lost years off our lives?”. I’m not sure…anyways, whatever the word for that is, that’s what we were. We basically missed out of the entire first year of our son’s life because of what we went through, and while we can’t ever get that time back we can still make decisions on how to become a stronger, more together family. For us that means wanting to spend as much time together as a family as possible. You never know which day is going to be your last. I struggled with our decision to travel for a couple weeks after we began considering it seriously. I’m the practical one. I do the boring things. My day to day life is the same and it’s predictable. I don’t necessarily like that but it’s just how I am. But the more I thought about it the more I wanted to go. To leave the boring practical life for once and have the once in a lifetime chance to be together as a little family all the time. It’s a decision I don’t think anyone could regret, family togetherness. You may not understand our decision but it’s hard to walk in someone else’s shoes and understand just what they went through in life to get to the point where they are now. Just know that it’s all about our family, and our bonding together, and our being together. Our son is the most precious gift we could have ever asked for and we only want what’s best for him. Well we already have the camper and the truck to pull it with so that part’s done! As far as work goes, we will both still be working on the road. I, of course, blog. But I also do a great deal of consulting work with other businesses and bloggers. All of which I can do from anywhere. It will be awesome having Daddy at home to watch our son so I can focus a little better too! We are also photographers in our “spare time” right now and plan on bumping that up to our “regular time” job. We mostly specialize in food and commercial photography but if you want family pictures and we are coming to your area you just let us know! We don’t truthfully know. We plan to be gone for 2 months before we come back to see family (and load up on supplies from the freezer!) and we will see how it goes from there. We don’t feel the need to set a date because we don’t want to force ourselves to do something if it doesn’t work out. We just plan to play it by ear. How are you going to afford it? Here’s the thing about traveling…people tend to think it costs more than it really does. Why? Because when they think travelling they think going on vacation, buying new stuff, paying fees to get into expensive attractions. We aren’t going on vacation, we are just living as normal, just in different places. We fully plan to do as many free and super cheap activities in an area that we can find. (We aren’t into theme parks or things like that anyways, we prefer amazing scenery, walks, swimming at lakes, ect 🙂 ). We will spend as much on campgrounds (aka rent!) as we would staying stationary here. We may be even able to find better deals since prices seem very high here and I’ve purchased a few discount cards for campgrounds that have great prices. We aren’t rich by any means but since we are selling our house and our second car we will have almost no debt or monthly bills to worry about. In short, we didn’t. We just are taking a round about way to get to our final plan. We still plan on buying land again and starting our homestead within the next couple years. We will just be going about saving up money differently than we originally planned. What does this change for me (the blog reader)? Nothing! All will be the same here on the Little House Living blog. We still fully believe in simple living in all it’s forms and how to make the most of everything you have. Maybe. But we have to think about it like this. In our last days, whenever that may be, are we ever going to regret a decision to spend more time together as a family? I think you know the answer to that one. South Dakota will always be our home base. No matter where we end up at the end of our journey. Our map is near the camper door, ready to track our journey! I will be posting more updates in the next few short weeks as we finalize our plans and get ready to hit the road. Is this something you would ever do with your family? Where should we go first? So happy and excited for your family! Yaa for you!! Can’t wait till all is together for us and we can launch also! I wish you luck. This is a dream we have also. Have you thought about working at the campgrounds you stay at? That’s something we’re going to look into when we begin our journey. We have and it’s always an option but we don’t plan on staying in the same place for long enough (I think most campgrounds want you for a couple months and the max we would stay in one place would be a month, depending on the photography work available). Congratulations you three!!! This is going to be so awesome for you!!!! Praying that this journey blesses you abundantly!!! You will make great memories! So glad your house sold. As far as neat places, oyr family wants to go see the redwood forests on northern California. I also want to see the Missouri/Kansas Litttle House sites (we saw the northern ones last year, but I’m making the assumption you saw those already, it being the name of your blog and all… 🙂 ). Niagara Falls in NY is pretty amazing, too. I haven’t seen the Missouri/Kansas Little House sites, those are on my wish list too! Even tho we shouldn’t envy others, oh how I envy you 🙂 I say do as much exploring as possible while you can, life is to short! What an advetureous life you lead and yet a simple one. I always look forward to reading your blogs as I grab my cup of joe each morning. As for places to visit, there are so many cool and exciting places to see as you set out on this journey. Not sure which route your taking but having moved almost every year of my life as a child since dad worked for Boeing we saw a lot of country. Montana and Wyoming are beautiful and Glacier and Yellowstone are a must see if you haven’t been there. Talk about getting some amazing pictures, and this is the time to go. Well, you and your family will be in my prayers for safe travels. Enjoy!!! sounds awesome 😀 hope it all goes well & you have fun! I wish you great vistas and good health on your new journey. I did this on my first marriage….there were times that were extremely difficult and even without children, 2dogs and a husband made the space still seem small.BUT… the people we met on the road and in the campgrounds were amazing. You will find fellow travelers kind, helpful and resourceful. We met a lot of retirees who became fast friends . When you are young, and travel , alot of the people able to travel are older, they love having younger folk around and are a wealth of helpful hints. I know they will love you. I am excited for you!!! Arizona is beautiful for winter camping. (Southern Az) There are so many places to choose out here. I live about 20 min. from the Salt River. The weather is very mild and not overpriced. Milk is about @2 gal,bread $2-5,eggs @1.50. That’s how I base whether a place is is high cost. LOL. Good luck to you! Those are some great prices! I’m really looking forward to the fresh produce in southern states that I’ve never been able to get up here in the north in the winter. So jealous! lol…good for you. I can’t tell you how much I wish we could pack up and drive away (not just to the grocery store!) Wishing you safe “travels” and can’t wait to keep up! Are you going to come to Canada? Yes, I want to for sure sometime next year if we are still traveling! Not sure where in Canada…maybe you can make some recommendations? We’ve been to the lower part of Alberta before but that’s it. What an amazing adventure! While I can not see myself living in a camper, I can see the traveling part of it and wanting to be a family! Our family has been separated for about a year. Our son and I plan to join my husband in Juneau, Alaska this fall. It will be an adventure moving from the mid-west up there, but we are ready for something new. What a wonderful life you are about to have. Come to Texas! The weather is great in the winter and there are many many places to stay and see. I want to! Never been to that state! Where should we go there? If you make it out here to Utah make sure you visit the national and state parks! Lots to take pictures of! Zion National Park is one of our favorites. Have fun on your journey! Oh I so want to! We’ve only been to Bridges SP so I really really want to get to Zion and Bryce Canyon. Oh, how exciting! My hubby and I have talked about doing this when we retire. To move into an RV and just travel around. We will be able to travel between our kids and spend time with each of them. Good luck to you!! Sounds very exciting! This is a our retirement dream. However, we are moving to a new state next year and seriously considering taking a month or so to travel (in our camper) during the transition. Oh how i wish my hubby were as adventurous…i have wanted to do this on an rv or even a boat…even with three kids! Maybe someday! I’m not sure that I could ever do this, at least not until I’m retired or something. But who knows, maybe there will come a time between homes and jobs where it works out. I think it would definitely be more enjoyable while we’re still young. And if you come all the way to the East coast then swing by Virginia! We could even have a blogger lunch or something 🙂 Virginia is chock full of things to do and see and especially so if you’re a history buff! Good luck on your travels! Can’t wait to read all about it! If you haven’t met them yet, you might want to check out the Theis family blog. They are a local family that are full-time RVing. I believe they are in Texas now. http://theisfamilyblog.com/ They have two children that home-school. Where are you located at JM? In Story, WY. Halfway between Buffalo and Sheridan. You know what? That is so cool, hats off to you! I have always told my hubby when we retire, I want to get an rv and just drive anywhere for a couple of months, or if we did something like win the lottery…do it now with the kids during the summer! Amazing and lucky is what you are!! My oldest daughter lives in Yuma, AZ, the southwestern snowbird capital of the world, and the lettuce capital of the world. We visited her last spring and she brought us up to the Grand Canyon on a path through Sedona and near Flagstaff…amazing scenery! We’re going back to visit again next summer, this time going up to Utah and visiting Bryce Canyon, and Zion National Park. Again, you are so lucky!! If you should end up in Florida,St. Petersburg Beach has a fantastic camping sight called Ft.DeSoto it has a beautiful beach where you can walk and if you hit the right tides you can find your own sand dollars. You may need reservations but it’s beautiful!! I use to live near there and loved going there. Please-do what you can while your young and able. 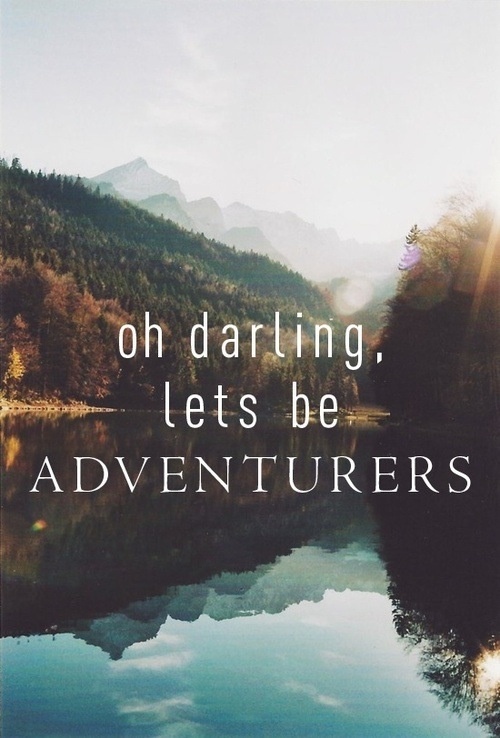 Enjoy the adventure. Take lots of photos. Perhaps, while you are visiting an area, maybe visit local homesteaders and video journal/photograph/journal their lifestyle, food-prep, livestock, gardening, recipes, food storage, etc..(be sure to report your findings to your fans) I think you can always learn things from others and perhaps you/we can help revive/preserve some dying techniques of self-sufficiency. Happy Trails! p.s.-I’m so happy for you that you won’t be spending the Winter in the Midwest. The price of propane would be a real budget killer. Oh what a great idea Kat! If you guys would like it I would love to interview other homesteaders we meet along the way. I would love to do that!!! I don’t know what we would do for health insurance and my husband has health issues. We live in California, but it is in Southern Cali in the city. If I had a place I would let you stay here, but we don’t have a place for you to park. We also are adoptive parents, so it would be so fun to fellowship together. You should absolutely check out the campsites along the coast in Southern Cali. From Santa Barbara down to San Diego there a great places to camp overlooking the Pacific! We camp regularly just north of Ventura (Rincon). You can watch the dolphins swim by! I’ve seen them jump out of the water and it always amazes me! Once I saw a baby dolphin jump and flip while playing. It’s a memory I’ll carry with me forever. This particular beach has very few people, we feel lucky to have found it. Best of luck on your adventure. We actually are a full time rv family! We started our journey almost 2 months ago and we LOVE it! We are currently in Texas and plan to stay south throughout the winter. We’ve started blogging more about it but still have so much to post. Hope to see you on the road! Wow!!! So courageous!!! I’m soooooo jealous now 😉 Hope you have the time of your lives and wish you all the luck in the world!!! It is so awesome that you guys can do this so young. My husband and I are mid 50’s. He retired 2yrs ago and we became full time missionaries to the Native Americans in New Mexico. We are west of Alb. and it is gorgeous there, and pretty cheap to live. It can get pretty cold in the winter(high alt) but we just go to Alb and stay there. We are originally from N Fl. where food is so expensive, it’s crazy, they grow more oranges and cattle there , yet in N.M. we can get a gallon of oj and a gallon of milk for less than 5 bucks, but in Fl. they are both about 3-4$ EACH! Can someone explain that to me? I just don’t get it. We are in In. now helping out some family, but will be going home to Fl for a month, to see family and the grandkids, but are already longing for NM! God Bless you on your travels. So exciting! I know you guys will have a fabulous time! Oh yeah, forgot to mention we live in a fifth wheel, duh, that was kinda the whole point! This sounds so exciting. Very happy for you and your family. Can’t wait to read more about your adventures. Have you been to the Little House sites in Minnesota and Wisconsin? Oh and one tip I would give you if you like zoos is to purchase a family zoo membership. You can get admission discounts at other zoos across the country. I use my memberships to visits zoos when I travel. Definitely make sure that your zoo membership is part of the Association of Zoos & Aquariums and that you will be able to get free or discounted admission to other zoos. Cool we will have to look into the zoo discounts. We have been to the Little House sites in MN and WI but not the ones in KS and MO yet! You will be making lots of awesome memories for the years to come. Blessings to your family on this new adventure! Congratulations!! What an amazing opportunity for your family! RV living and traveling full time is my retirement dream. I look forward to hearing about all of your adventures as you move from place to place. Enjoy every minute! How exciting! I think it’s wonderful that you can take such a great adventure with your family and make great memories! My husband has always wanted to do something like that except on a sailboat and to other countries. If I could improve my blog to be a major source of income, maybe I could make that dream a reality. We live in Somerville just outside Boston. There are many free, fun festivals and things to do here. About an hour and a half South of here, is Cape Cod. And the same distance North is New Hampshire and Southern Maine. All of these would have plenty of beautiful places to stay. I can’t guarantee prices, though. My wife and kids and I started talking about doing this over a year ago, and I can’t believe how many people are now taking the plunge! At least we don’t feel so weird anymore. We get enough grief about homeschooling, let alone “roadschooling”. We have just purchased our tow vehicle and will be purchasing our “house on wheels” as soon as our permanent home sells (using the equity to get out of debt…). I’m so excited for you guys! RV life is the best thing ever!! We made the switch almost three months ago and I couldn’t imagine anything better. The kids love it! My oldest started Kindergarten this year (homeschooling) and we are having so much fun! We tend to stay places about a week at a time, and we do have a “home base” where we store seasonal clothing and some extras. If you’re ever in the NorthEast Oklahoma area, let me know and I can point you to some great things to do and see! (we also know the kansas city area quite well… it always seems like we are going back and forth between oklahoma and kansas LOL). Hooray!! I just found your blog today & I’m so happy to read through all of your stuff. We’re going full time next year & I’m chomping at the bit to get going!! Just wanted to let you know that we belong to a FB group called RV Park Reviews & it’s been pretty nice to use as a sounding board. There are more I know but I’m just starting w/ them & this was my first. We post about more than just reviews too so it’s not limited at all. There’s another group I’ve been trying to join….they’re putting an extended family-style feel to it. Kinda putting each other together as a “family” for help/information/emergency/etc while traveling on the road. It’s such a huge network of people when you think about it…and w/ everyone being like-minded we’re all willing to help out whenever we can. If you’re ever in Iowa & needing a place, feel free to request my info…we can get you fixed up! Good luck to you!! That sounds like a really cool group. Thanks Jennifer! I get it, I really do! Last year was one of the hardest years for our family too. I was dx with breast cancer and endured almost a full year of treatments. I’m still dealing with side effects and trying to get my energy back up. I’m still trying to get back into a routine. A few months ago, we bought a pop up camper because we’ve always wanted one so we could do a lot of camping together. Camping is one of the most peaceful, relaxing things to do as a family. We have big dreams of taking the kids all kinds of places in our camper. If we had an opportunity to buy an RV and go on the road, we would. That’s not something we can do right now, but I understand the desire, especially the desire to treasure every bit of family time you can. Enjoy! Oh my! Sounds like an exciting adventure! So many possibilities. I saw where you said you wanted to go to Zion. We loved Zion, even more than the Grand Canyon. Beautiful campground in the park right next to a small river.We have camped coast to coast and loved it. Keep in mind as you are traveling, if you need a quick one or two night stay, and don’t need hookups, Wal-Mart’s and Sam’s Club will allow you to park in their lot overnight for free. It is not a long term answer but good for a quick stop over that can save lots of money. My friend was a Sam’s Club manager and each morning she would make the rounds of all the RV’rs in the lot. She loved having them and enjoyed hearing their adventures. I was just looking through your blogs and posts and cannot believe the similarities. I am a blogger and have just had the hardest year and a half trying to adopt our sweet little girl. I did not know stress until this and trust me my life has had some biggies! We have come through the worst of it I hope now and hopefully our adoption will be finalized by the new year. We are from Canada but have decided to travel the warm US states for a couple of months this winter in our RV. Adopting our wee girlie has taken its toll on my husband and myself emotionally and we need some time. We have 2 biological boys that we homeschool so we are heading out in January to explore, homeschool, bond, play and mainly to just relax as a family without the threat of losing our sweet girl hanging over our heads. I will continue to follow your travels. Perhaps we will run into each other. Who knows! Thank you for your story, no one knows how hard this is unless they have been through it. God bless you! I’m excited for you. We too travel in an RV. We stay the winters in lake havasu city ariz. it’s nice warm weather has spoiled us. Good luck on your adventures and hopefully one day we will meet on the road. I absolutely love your blog! We have gotten to the point our life that we are seriously thinking about downsizing. Work has my husband stressed beyond belief and I dont see the joy in his eyes that I used to. We have 3 children under 5 and this is the first blog I have seen that includes life with a little one in an RV! Thank you so much for sharing your journey with the world! Thank you for this blog! Me my husband and our dogs(which I’m still nervous about) are getting ready to move from Arizona to Oregon and plan on living in a fifth wheel for the atleast 3 years that we are there. We are renting out our 4 bedroom house that we have become accustomed to and so I just don’t know how we’ll manage in a fifth wheel! We have a lot of debt to pay off and its pretty expensive to rent in Oregon! I still don’t know if I’m going to be able to handle it for that long but your blog definitely helps me know that it can be done! I know that we will have a baby while we are there and I love your little nursery! It’s going to be hard but I’m just trying to stay positive! If you have stayed near Portland Oregon or Vancouver Washington please let me know if you have any recommendations for RV Parks! Thanks again for your story and tips!